Disclaimer: Information on this page is correct to the best of our knowledge, but please refer to the UK Borders Authority website https://www.gov.uk/study-visit-visa for the latest information. Immigration requirements are determined by nationality. If you are a citizen of a European Economic Area country or Switzerland, you do not need a visa to study in the UK. However, you do need a valid document, either a passport or identity card, to enter the UK. In all cases, you have to satisfy the UK Borders Authority that you have enough money to pay for your course, accommodation and living expenses. If you want to study a on course (9 hours or more per week) for less than six calendar months. After full payment, Bethnal Student Academy will send you a hard copy of the Course Confirmation document to your home address*. You need to present this document to a British Embassy or Consulate in your country to get your visa. Non-visa nationals can present the Course Confirmation document to a UK Borders Authority official at the port of entry in the UK to get this visa. This visa does not allow you to work (even if unpaid) in the UK, and cannot be extended or changed. By the time this visa expires you must have left the UK. If you want to study on a course (9 hours or more per week) for between six and eleven calendar months and you are over 18. After full payment, Bethnal Student Academy will send you a hard copy of the Course Confirmation document to your home address*. You need to present this document to a British Embassy or Consulate in your country to get a Visa. This applies to all applicants – you cannot get this visa at a port of entry in the UK. This visa does not allow you to work (even if unpaid) in the UK, and cannot be extended or changed. By the time this visa expires you must have left the UK. You need to apply for a Short Term Study Visa (6 or 11 months). The study is for no longer than 6 months. The course does not need to lead to a specific qualification. There are no minimum academic requirements for immigration purposes. The course can be at any level. There is no minimum hours limit for any courses you take during your time in the UK. You can study part-time or full-time as a short-term student. You can change your course of study as long as the total length of the course is within the period of immigration permission you have been granted. 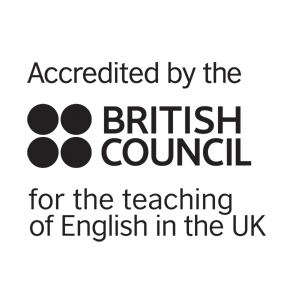 The English language course does not need to lead to a specific qualification. There are no minimum academic requirements for immigration purposes, the course can be at any level. You should then receive an email to set up the account. Follow the steps on the website and contact your visa application centre. The same cancellation policy will apply to your reservation as per Term and Conditions. In the case that your visa is refused and you provide us with less than 14 days of notice, a refund is only payable by Bethnal Student Academy after being shown documentary evidence of a visa refusal. We will then refund fees paid minus bank charges and a £350 administration fee (including the confirmation letter fee). In the case of your visa being revoked, there is no refund. *A non-refundable fee of £50 will apply to cover the postage and admin cost.